While the default cover for our German Berlin book is a printed, laminated cover, it is also available with a fully wrapped fabric cover! You can select any of our New York line linen colors or French Paris book cloths. 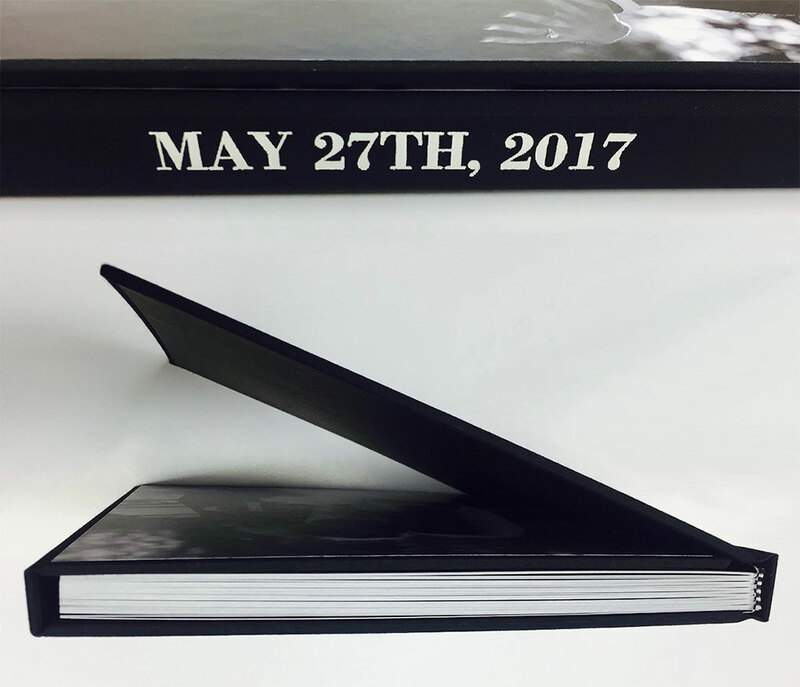 You can also mount images to the front, back and/or inside panels or leave the panels exposed and add stamping, including on the spine. To choose any of these options, simply mention what you want in the Comments section when placing your order. 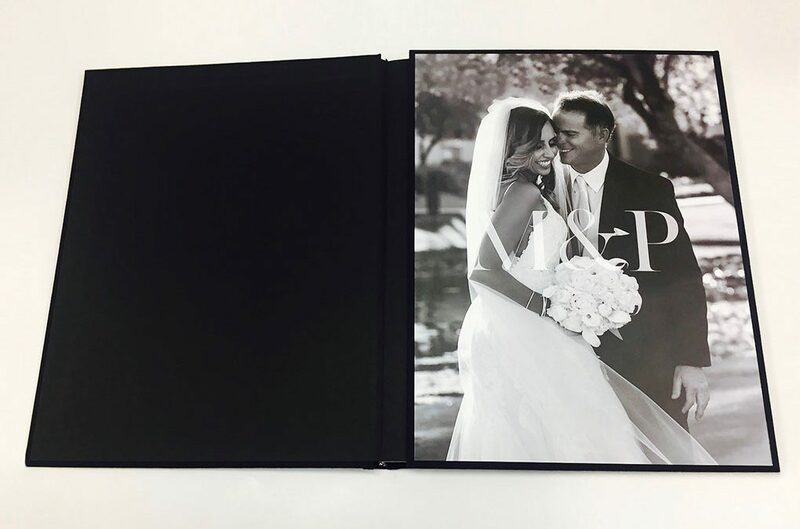 Rachel Leintz, a very talented photographer specializing in weddings and based in Mesa, Arizona, recently created a German Berlin book wrapped with black linen and also featuring mounted images and spine stamping. Here is a short video of the book. Check out the nicely done custom printed vellum page towards the end! Connect with Rachel on Facebook and Instagram to see examples of her beautiful wedding photography.